This was a wedding to remember. So much detail and such beautiful setting took place for the wedding night of Abdullah & Shatha who are both such wonderful people. I had the pleasure of being chosen as the DJ for their wedding on Sunday Apr 22nd, 2018 at the Vancouver Club in downtown. That place is already amazing but the decoration and the way everything looked seemed like it was part of a romantic movie set. For this wedding, the bride gave me a great list of songs to play and I was very happy that they enjoyed their time even at the very end when I played some Algerian Rai music (requested as well) just before heading to the roof to send a couple of small sky lanterns with many of the closes relatives and friends. Magical settings I tell ya. I also had the pleasure to meet a bunch of very wonderful vendors who made the night even more fantastic. Congratulations to you both Abdullah & Shatha and I wish you all the happiness together. God bless you both & thank you for choosing me to make your special night extra special. 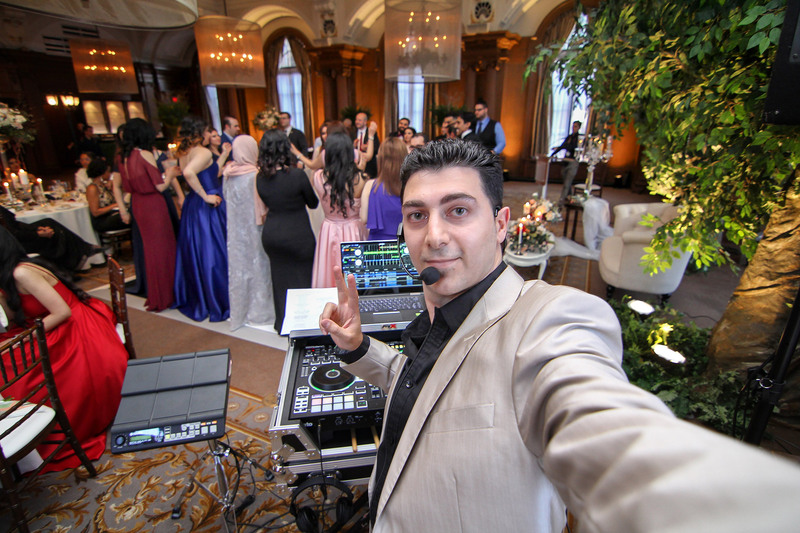 I loved being your Arabic DJ and playing all the new hits you requested as well as some of the great old music hits.